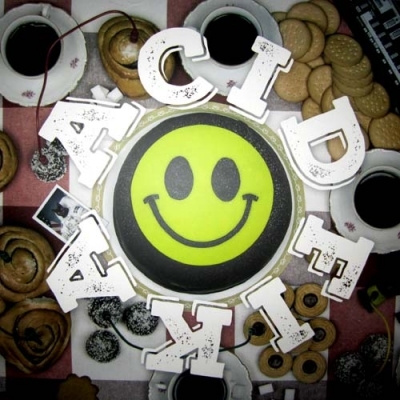 "ACID FIKA, a slice of the Swedish Acid scene. Here we have an absolute massive compilation of current Acid from Sweden. Featuring Robert Leiner, Dungeon Acid, Tilliander, Villa Abo, Cari Lekebusch, NoS, Helltown Acid Militia and Daniel Araya. Each artist brings to the table their own unique flavor of the Swedish acid sound. Mastered by 6Bit Deep in Copenhagen and pressed on heavyweight vinyl, a future classic in the making." HELLTOWN ACID MILITIA "Electro Terrestrial EP"
HIGH BOYS "World Dumbination EP"
DUNGEON ACID / RUSSELL HASWELL "Dungeon Acid / Russell Haswell"
ANDREAS TILLIANDER "Love Me Like I Do"
ANDREAS TILLIANDER "Back To The USA"